Get a head-start on your Christmas shopping at Goulbourn Museum’s Old-Fashioned Christmas & Outdoor Artisan Market this Sunday, November 18 from 10 a.m. to 3 p.m. 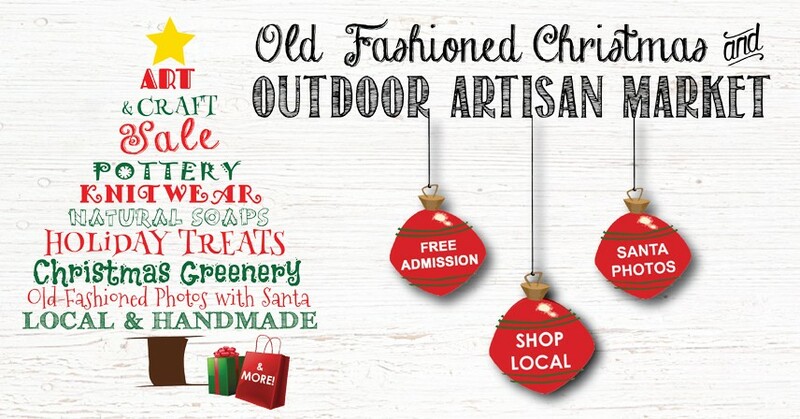 This annual holiday celebration features local artisans, baked goodies, old world entertainment, historical reenactors, blacksmith demonstrations, and festive crafts. Vendors at this year’s event will be selling a diverse array of handmade gift items including heirloom preserves, chocolate goodies, ice cream, natural soaps and candles, stained glass, toys, pottery, woodwork, jewelry, textiles, and more! See a complete list of all participating vendors, below. The Calligraphy Society of Ottawa will be on-hand to help children pen letters to Santa and assist adults in drafting decorative gift tags. Families can pose for a photo with Santa, watch a bona fide blacksmith at work, and make holiday decorations of yesteryear. Enjoy free hot chocolate and apple cider, roast marshmallows by the fire, and buy warm comfort food from Smokin R&Rs. His & Hers Home Co.